Performance by Keith Szarabajka10 cassettes: 0-553-47901-612 HoursMoonlight Bay, California. A safe, secluded small town that is at its most picturesque in the gentle nighttimes that inspired its name. Now, somewhere in the night, children are disappearing. The police cannot be trusted since they were long ago corrupted by a greater authority, hidden behind the supposedly shuttered walls of the adjacent military base, Fort Wyvern. Christopher Snow, victim of a rare genetic disorder that leaves him dangerously vulnerable to light, believes the lost children are still alive and is convinced the disappearances have everything to do with the catastrophic effects of secret research conducted deep within Fort Wyvern. Forced to live in the shadows, he knows the night world better than anyone, and sets out to find the missing five-year-old son of a former sweetheart. 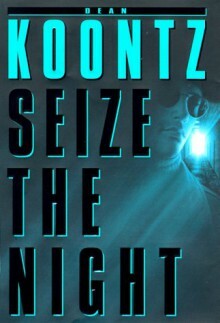 Never before in Dean Koontz's phenomenal writing career has he created a character quite like Christopher Snow--a creation so complex, so fascinating that the author has felt compelled to return to him. Listeners of Fear Nothing already know why. Those who meet him for the first time in Seize the Night will soon join leagues of others whose imaginations have been touched by this unique character and the extraordinarily eerie world of Moonlight Bay.